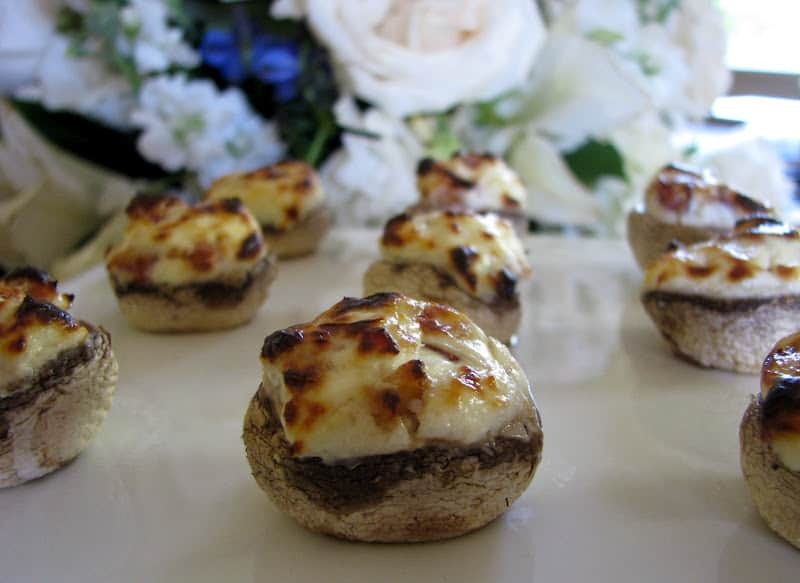 Bacon and cream cheese filled mushrooms are surprisingly addictive, yet so easy to make! You really don’t even need a recipe. I love small bites, appetizers and nibbles, as do many of my girlfriends. I think it’s the fact that you can satisfy every taste bud by trying a little of everything, but not feel overly full at the end. Not to mention the cuteness factor! Of course, bacon makes everything taste better, but that night I discovered that the flavor combination of bacon, cream cheese and mushrooms is heavenly! 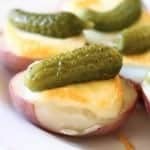 These are perfect for an elegant appetizer, or even an oudoor barbeque or picnic. Just make sure to make enough as guys love these as much as the girls. 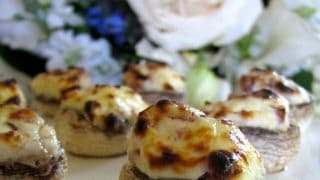 Bacon and cream cheese filled mushrooms are wonderful served warm, straight out of the oven, but are equally delicious hours later. They also reheat very well. 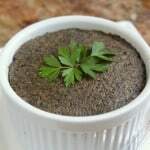 When I asked Angela for the recipe, she laughed at me and said, “What recipe?” Read on, and you’ll see why she was so amused. Wipe the mushrooms with a damp cloth and remove the stem. No need for a knife, just pull the stem to one side and it pops out. then chop it into little pieces. Now, mix the bacon pieces into the cream cheese, until evenly mixed. 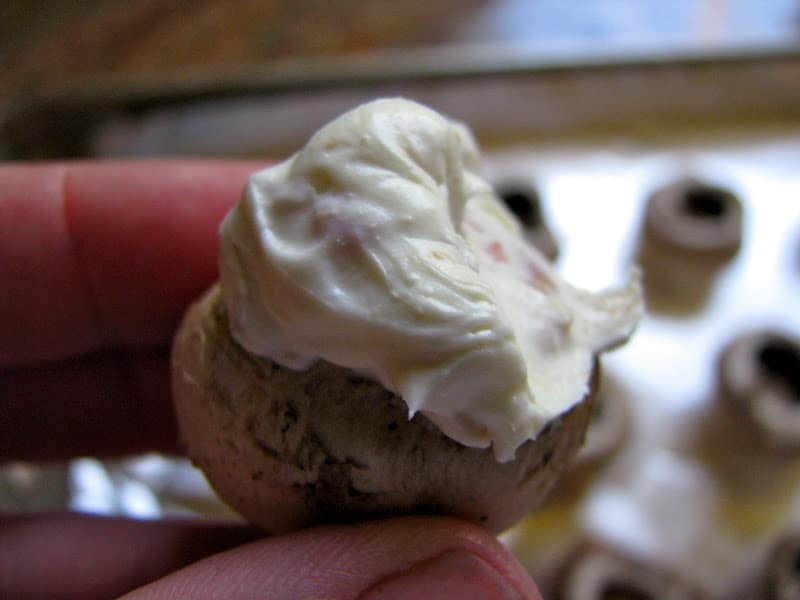 Stuff a little of the cream cheese/bacon mixture into each mushroom cap. Next, place onto a lined baking sheet. Place under the broiler for about 6-8 minutes, or until desired color is reached. Serve as desired. See how easy that was? 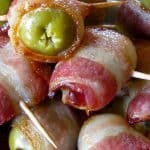 A super easy, super delicious finger food that's perfect for cocktail parties to tailgating get-togethers! 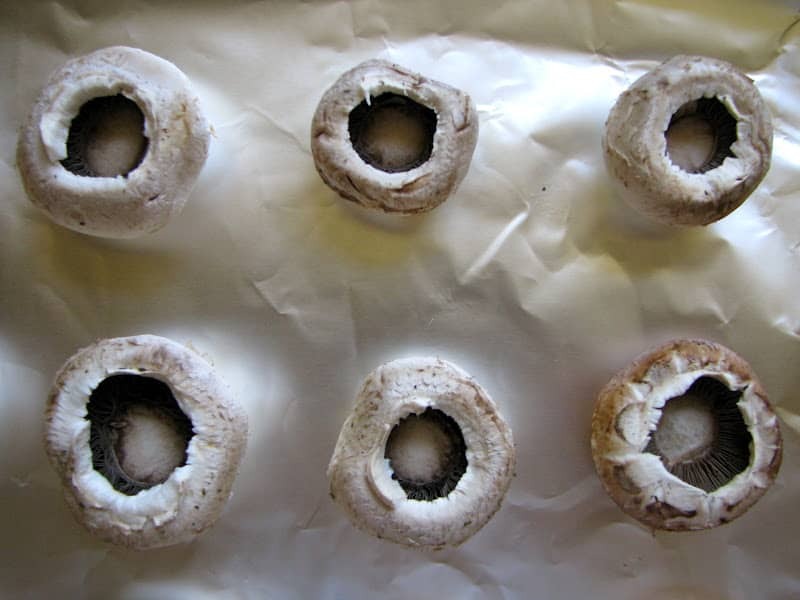 Wipe the mushrooms with a damp cloth (never wash mushrooms) and remove the stem. No need for a knife, just pull the stem to one side and it pops out. 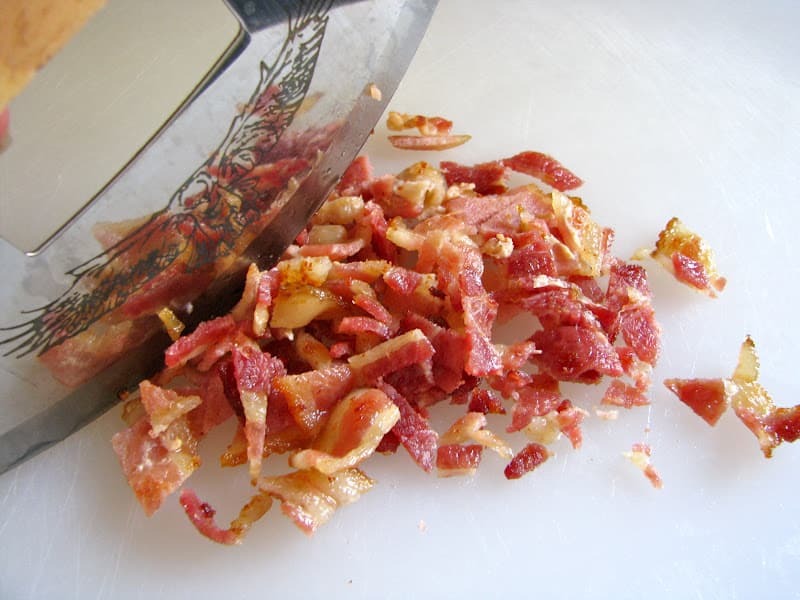 Fry the bacon gently, then chop it into little pieces. 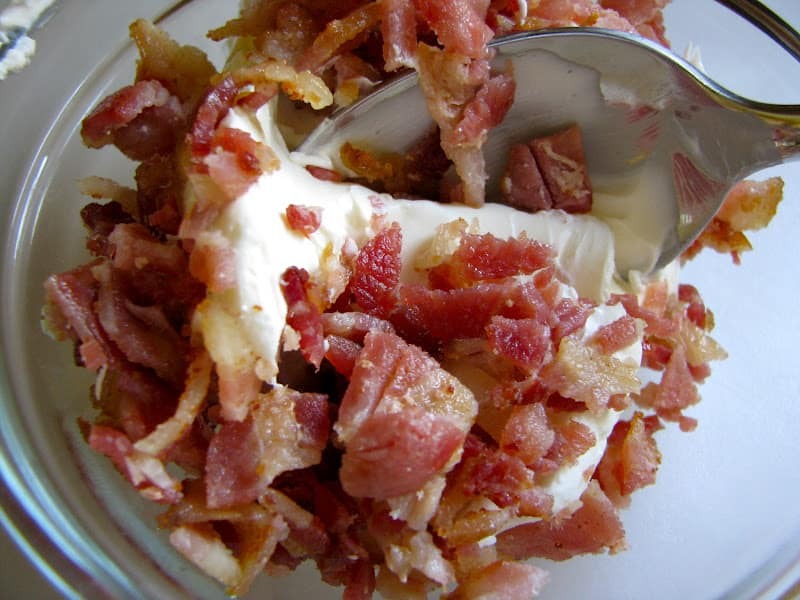 Mix the bacon pieces into the cream cheese, until evenly mixed. 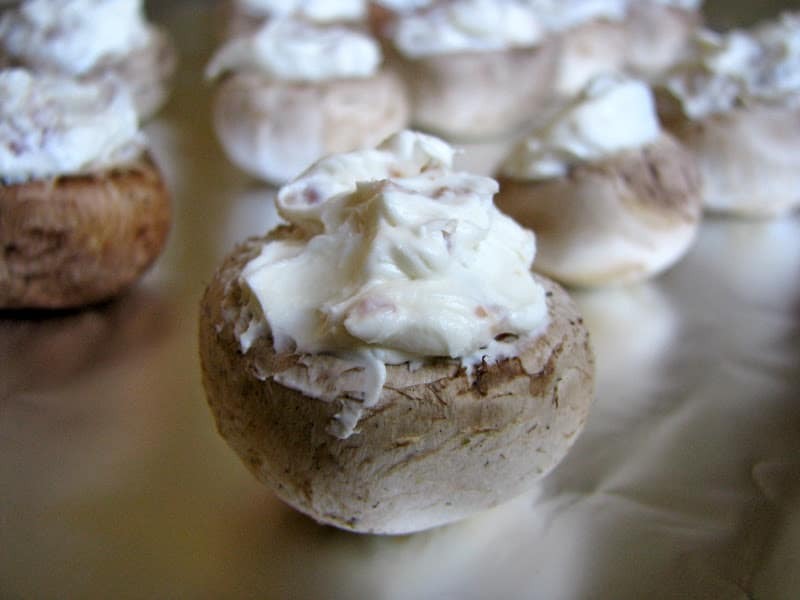 Stuff a little of the cream cheese/bacon mixture into each mushroom cap and place on a foil lined baking sheet. Place under the broiler for about 6-8 minutes, or until desired color is reached. Serve hot, or warm. I decided to make these at the last minute and was so glad that I did. They were such a hit, guests were asking for more. I’m glad I doubled the recipe! Thanks for another great recipe, definite 5 star! Do you remember Shirley Conran saying “Life is too short to stuff a mushroom”? Normally I would agree, but for this recipe I would DEFINITELY make an exception! Just off to the grocery store to pick up Philly, bacon and mushers! 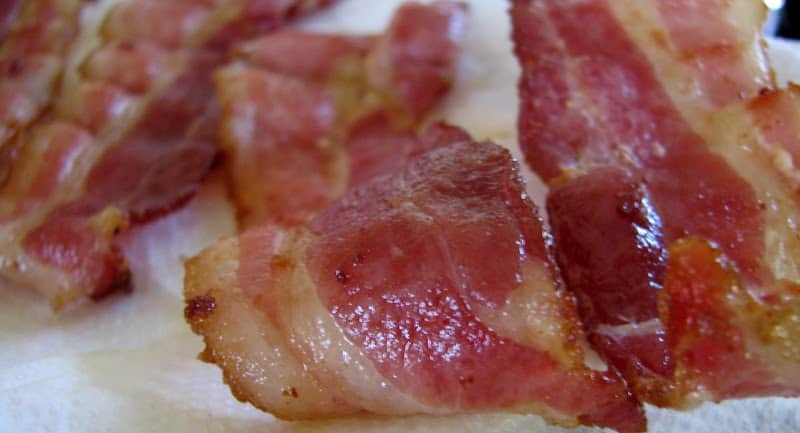 Bacon totally does make everything better! And yes love small nibbles and bites of everything! I love small bites too! That these bites are just 3 ingredients…even better! Hard to go wrong with bacon cream cheese and mushrooms! Bacon and cheese alone are divine, then add mushrooms? Oh yeah! 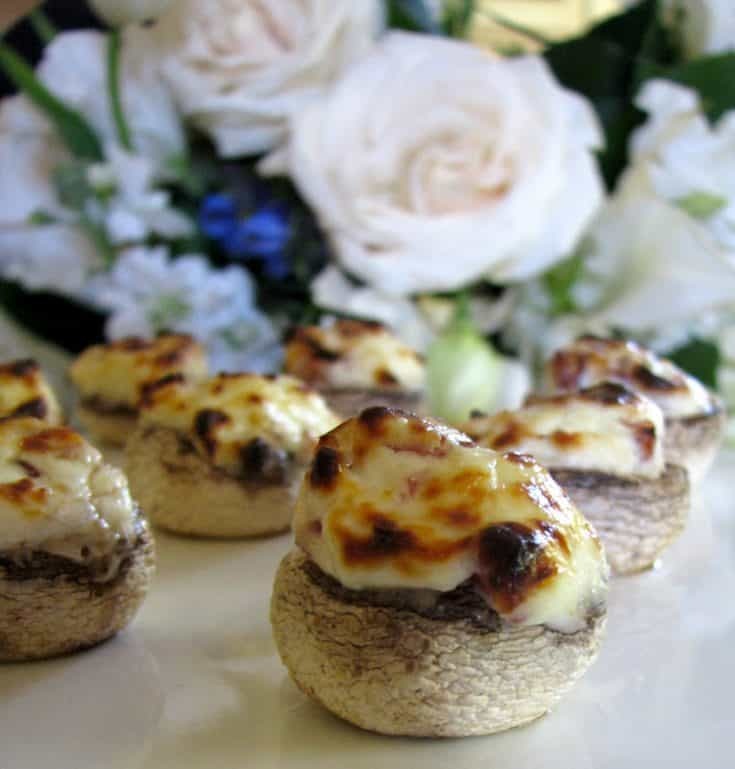 Little bite size morsels of goodness in these filled mushrooms. Love small plates and appetizers – deliciously done, Christina. Thank you so much, Cristina! These look and sound so good! My husband always swoons over stuffed mushrooms and I’m not really sure why I don’t make them more often, it’s been too long! Thanks for the reminder! I should say… simple and delicious :)! If it’s got bacon in it, I’m on board! These are wonderful. My favorite type of appetizer! So easy too! People would empty this plate whether it was on the dinner table or at a party! Oh, I love stuffed mushrooms. I could eat the whole tray! Yum! 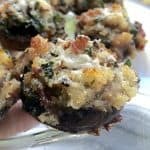 I love stuffed mushrooms, and these look amazing. You have a beautiful site, Christina. I’ll be back often to see what you have cooking up. Yummy on those little morsels. I could go for one right now! !